Before you tie the knot again, take steps to make sure you’ve finished with old business, set up your new arrangements, and made agreements to handle your financial lives together. First, you’ll need to resolve any financial loose ends from your previous marriage. You’ll want to make sure that you have settled issues from any previous marriages, and that your paperwork is in order for your real estate, bank accounts, and other assets. If you are divorced, cut financial ties to your ex-spouse as soon as you can. That will clear the way for a less-encumbered relationship with your new husband. 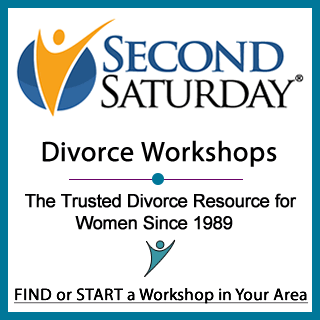 When dealing with your ex regarding money or family issues, be sensitive to his feelings about your remarriage. He may feel hurt, left out, resentful or jealous. Those feelings are natural, so be understanding. To make the best of your new relationship, analyze carefully how your previous marriages have affected you. The emotional trauma of divorce or widowhood can leave lasting scars that inhibit you in your new partnership unless you make a conscious effort to overcome them. Review the title to real property and check your accounts (checking, savings, money market and brokerage) to be sure they are all in your name. If you wait until you are remarried, you’ll just complicate matters, as you deal with the issue of current spouse, former spouse and your former single status. Check your credit. Make sure that you (and your new groom) will not be on the hook for debts from previous relationships. Next, discuss financial issues with your new intended. As you are getting into a new relationship it is important to define roles. Each of you should have basic competencies when dealing with money. While one person may take more responsibility in one area, don’t give of your power and responsibilities to your partner. The beginning of the relationship is the perfect opportunity to start things out on the right foot. Marriage is about love and commitment, but it is also a legal and financial contract between you and your future husband. Regardless of how you plan to manage your financial affairs as a couple, you should both be very frank with each other before you get married, so you each understand the full extent of your assets and obligations. We suggest you exchange credit reports before you exchange your vows. Your dreams and goals: where you would like to be in five years, how you would like your financial life to look, what your personal goals are and how you plan to make them happen. A prenuptial agreement (or prenup) is often more important in a second marriage than in a first. Because of obligations to children, existing assets, and prior legal commitments, a written agreement assures that everyone’s needs are clear and their financial interests protected. If your future spouse feels uncomfortable about the idea, reassure him that the agreement is intended to benefit and protect you both. The fact that you are revealing all of your assets prior to marriage should be taken as a sign of trust. Prenups can protect your children’s assets, providing for their inheritance in the event that you die or get divorced. Similarly, having a written agreement is critical if either you or your new husband owns a business. Prenups can also include language to protect your current interest and all future benefits that flow from a patent, trademark or creative idea, whether it be a book manuscript, a computer software program, or a pharmaceutical patent. Both you and your soon-to-be spouse should consult a family law or matrimonial lawyer to negotiate the terms of your premarital agreement and draft the final document. If you don’t know of a suitable attorney, ask a trusted professional adviser for a referral. You can also contact the American Academy of Matrimonial Lawyers at www.aaml.org.